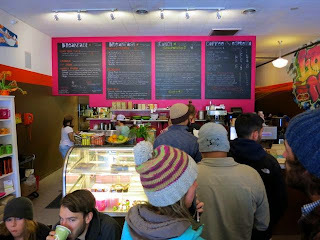 What is the most popular breakfast spot in all of Moab? 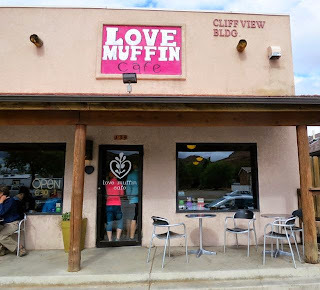 Well, that's easy - Love Muffin Cafe! The line coming out of this cafe on a Sunday morning is a sight to be seen! As we waited in the line, we were like, "this better be good." 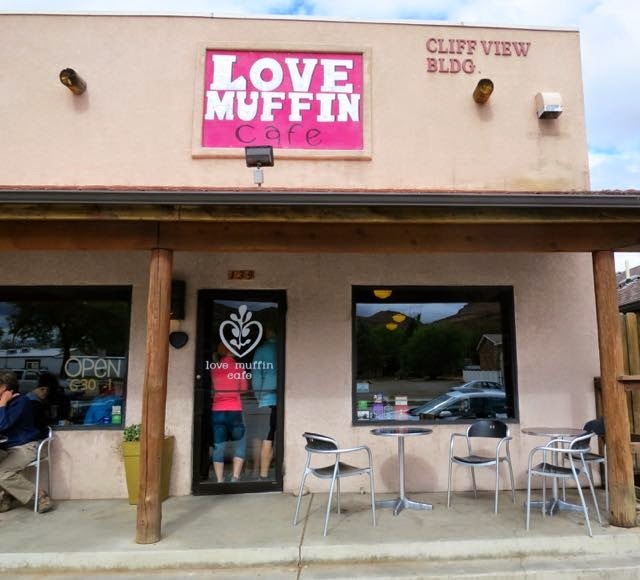 As one of the most vegan-friendly establishments in town, Love Muffin is a local favorite. 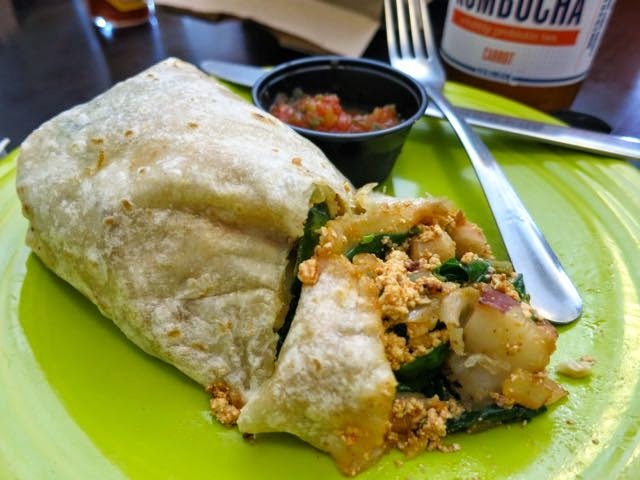 Open only for breakfast and lunch, they have many vegan options such as warm quinoa, waffles, and tofu sandwiches. We placed our order and grabbed a table. As I enjoyed my kombucha, we talked about the day and how we'd further explore this little town. Inside the cafe, there's a lot of energy, color, and artwork. It was a fun atmosphere. After some time, myVeerrito finally arrived. This breakfast burrito filled with tofu, onions, spinach, chickpeas, poblano peppers, potatoes, and salsa, was pretty tasty! Of course, I added hot sauce. And for only $6, I really couldn't complain. 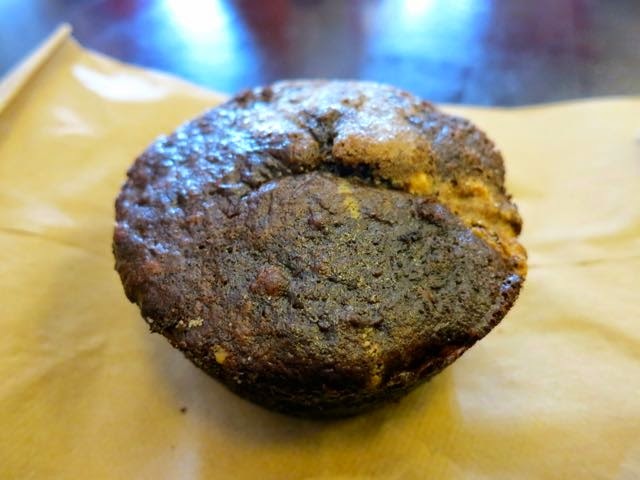 But, even better was the vegan peanut butter muffin! Oh. my. god. This was good. I'll take two next time. Love Muffin - I love your vegan muffins! Good food and great prices. This will be my breakfast go-to from now on!